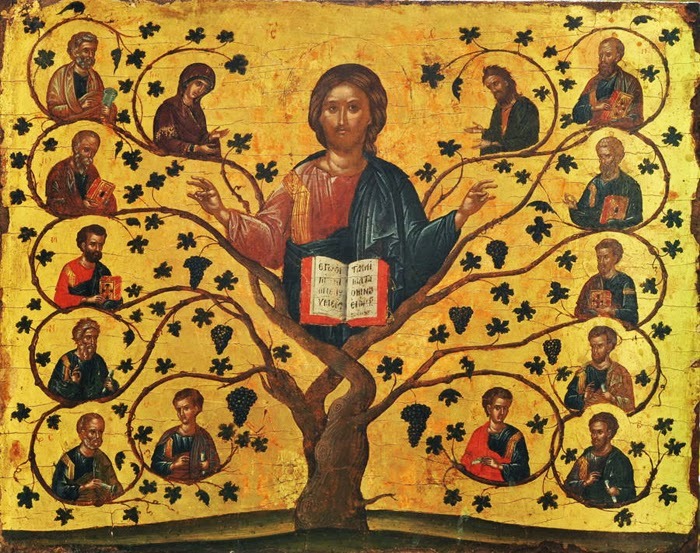 In John's Gospel today Christ tells us that he is the Vine shaped by his father and that we - all of us are the branches. In nature if a branch is dead it should be cut off and discarded. So to it is with our relationship with Christ - if we do not allow him into our lives we die, cut ourselves off. To grow vines or plants of any kind is about permanency and stability. We have to be around at all stages of the plant's life and if we nurture well then the harvest will be fruitful. Christ reminds us that if we remain with Him, His words remain in us and that whatever we ask we shall get. When I looked at the first reading again this morning, the Gospel became clearer, for here it describes how after God had cut away the old (the bad bit of Saul, the slayer of Christians) he allowed a new branch to grow, with the help of Barnabus.